It’s no secret we like to do good work. Great work. And getting nationally recognized for that work is even better. But to us, what’s even more valuable is the fact that these awards serve as a barometer. A way of measuring our work against the best of the best, year after year. Awards shows challenge us to maintain the same creative and professional standards that have served us for decades. And for our clients it means—at the very least—they’re getting the best real estate marketing and placemaking in the country. We’re honored to have been awarded 112 Gold Nationals by the National Association of Home Builders, along with more than 500 Silvers to date—including many for our groundbreaking digital work. And we’d love to discuss what award-worthy campaigns and strategies we can create for you. David Miles’ career spans more than three decades, during which he has served as president of three full-service advertising agencies. 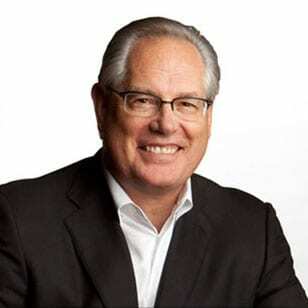 He has worked with many of the leading real estate brands in the world, including Disney, Hines, Orco (the largest developer in Europe), Orvis, Newland Communities, General Growth Partners, Pulte Homes, Centex Homes, Shea Homes, David Weekly Homes, John Wieland Homes, The Seaside Institute, and Urban Land Institute of Colorado. In 2016, David was recognized by the National Association of Home Builders as the 50th recipient of the industry’s most prestigious award: Legend in Residential Marketing. David’s civic accomplishments include leadership roles with The Denver Metro Chamber of Commerce, Colorado Public Radio, the Home Builders Association of Metro Denver, and ULI Colorado. He is a past Chairman of the Denver Advertising Federation where he was named Denver Advertising Professional of the Year. In December 2004, David Miles was named one of the 50 most influential people in the home building industry by Builder Magazine, together with such other notables as Alan Greenspan, President George W. Bush and Warren Buffett. According to Builder Magazine, “Miles’ Denver-based real estate branding and communications firm has played a pivotal role in how builders carve out their niche in the marketplace and communicate their position to consumers.” This honor was again bestowed upon David by Builder Magazine in 2006. David is the only branding and marketing professional to ever be recognized on this elite list.